It’s the 5th anniversary of Resfinity’s Dynamic Room-Type Mapping! 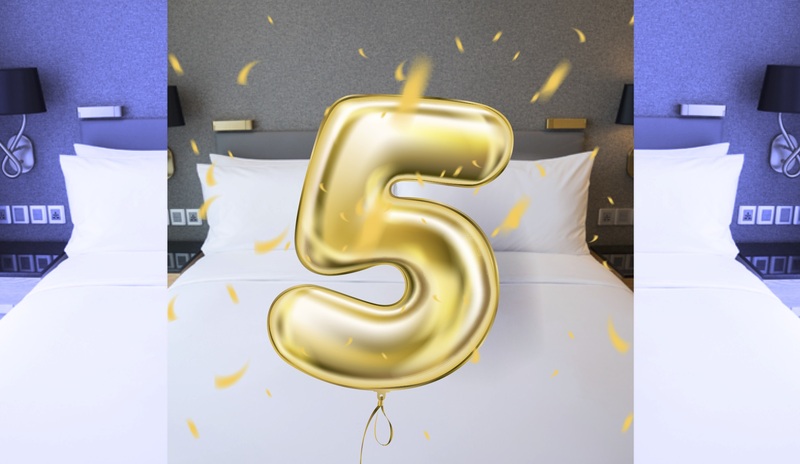 This year we celebrate the 5th anniversary of the first implementation of our Room-Type Mapping service. The idea was to create a super-fast, real-time solution, that can perform on the fly under heavy traffic load. The Resfinity room-type mapping tool is embedded in the API, which means no additional integrations required, hassle free. It has certainly come a long way since then. There’s been a learning curve no doubt, one that improved by time and with the help and feedback of each and every ANIXE client that started using the service. Today, we are confident that our solution is unmatched on the market. Specifically, with regards to attention to detail, complete automation and matching accuracy. Resfinity’s Dynamic Room-Type (DRT) structure utilizes a set of parameters that our algorithm can recognize in all native supplier room-type labels. There are a total of 8 configurable parameters that include things like “unit type”, “room standard” and “view”. “Properties” is another parameter that can be used more generically to define a room attribute like “balcony/terrace”, “upper floor” or “smoking room”. Using all 8 parameters our DRT structure contains around 260 Global Room-Types, that unify responses coming in from all of Resfinity’s integrated suppliers. Suppliers’ native room types are mapped to our 260 Global Room-Types. That’s not all though! We give our clients full control over their room-type structures, labels, and codes. This allows our clients to pre-map Resfinity’s DRT structure to their native system’s structures. Using a web-based table you can manage Resfinity’s DRT, and change the room-type codes and names to match your native system’s codes and names. Some of our clients change the DRT structure completely or create their own from scratch, using our web-based mapping table. To conclude ANIXE gives you ultimate control over Dynamic Room-Type mapping, allowing you to create your own room codes and business logic that guides the matching algorithm. To find out more about our mapping and deduplication, please contact us using the contact form.